This is an early Keystone catalog. Cover to cover it is eight pages . The company started in 1919 and this catalog dated to between 1920 and 1924. It list two film machines one at $5 and the other at $20. 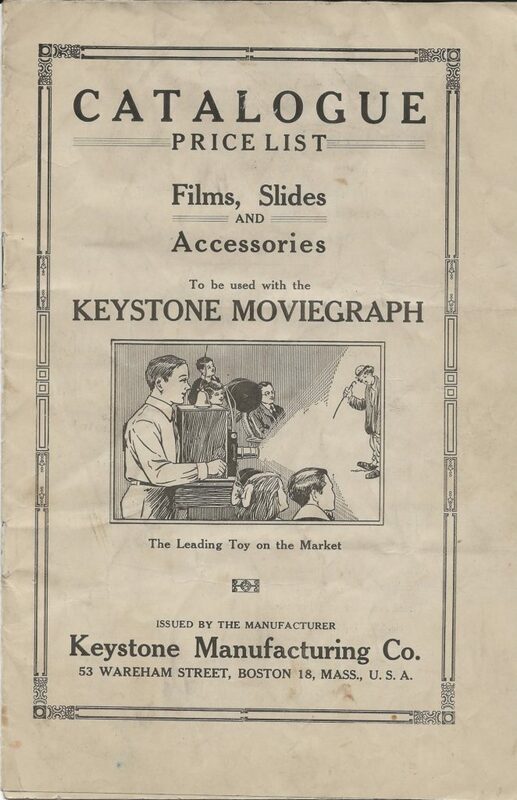 Keystone offered new films and interestingly enough used films that were purchased from movie theaters when they were done with them. The catalog also suggests that you can get films at half price by getting your “chum” to buy a moviegraph and trading films that way you get two for the price of one.